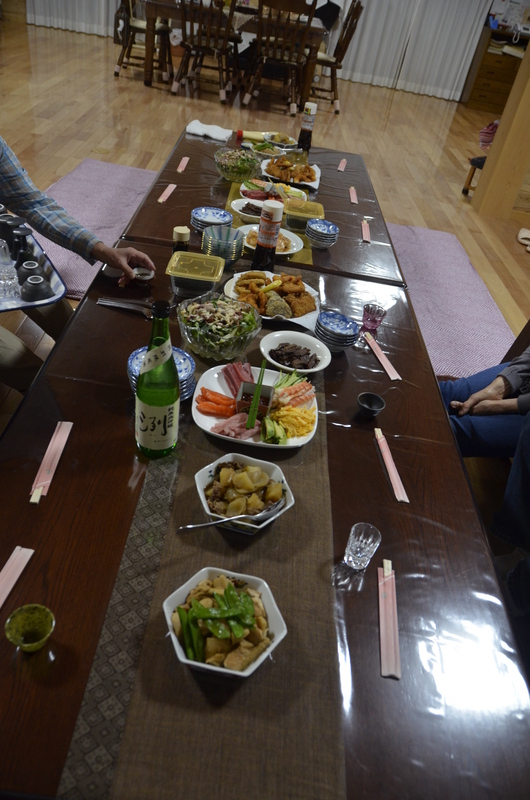 We in the West are familiar with several standard Japanese dishes. Sushi, tempura, and noodle restaurants are popular and easily found in many U.S. cities. Here are some other foods I enjoyed on my trip. I had never had this before. In appearance they resemble latkes (potato pancakes), but less oily. 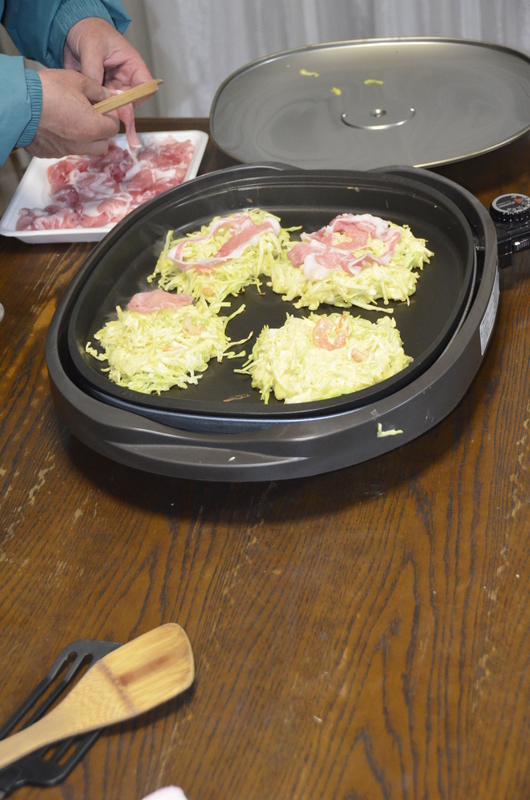 In fact, they are made from shredded cabbage dipped in a batter and fried. I was told by my hosts that you can put anything you want in them. In our case, they added thinly sliced ham or prosciutto. After it was fried and placed on the plate, bottles of mayonnaise and a tangy brown barbecue sauce were squeezed over them. I have never eaten more fish than I did in Japan. 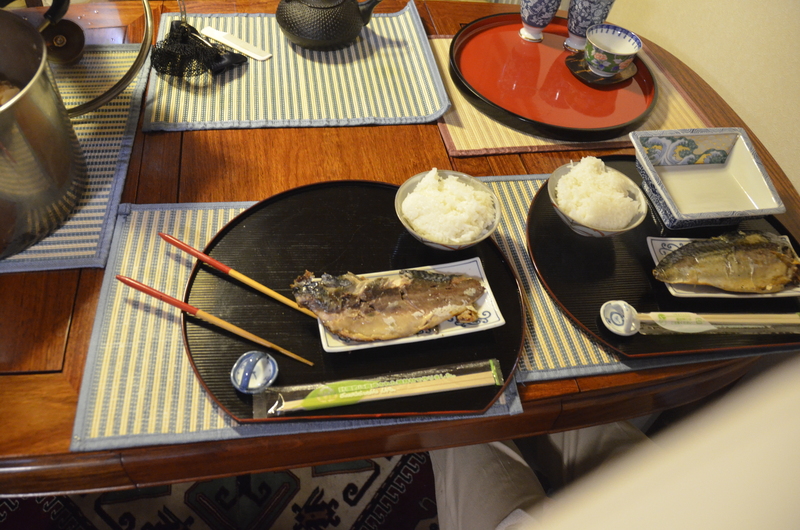 We had it for breakfast, lunch, and dinner … and some meals offered more than one kind of fish. I remember one that had five separate kinds of seafood! 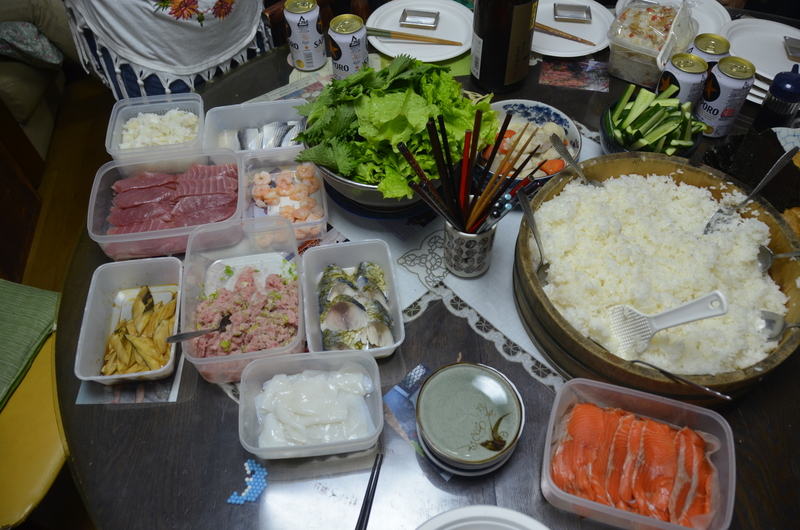 Of course, much of it came as raw sashimi, but dried and cooked fish also figured prominently. Fish for breakfast? Yes, thank you! One interesting restaurant we were taken to was a French crepe restaurant. 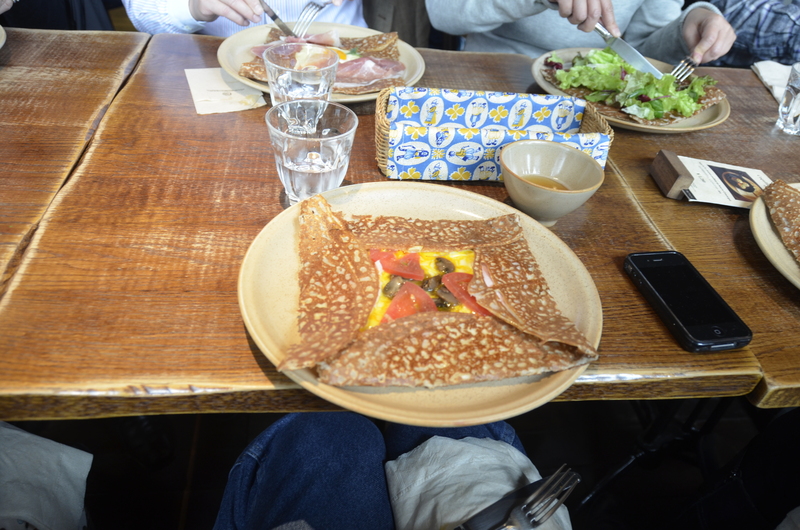 The crepes were unlike any I’ve had before, though. They were made of buckwheat and were savory. Mine was like having a small egg omelet wrapped in a buckwheat crepe. It was very good. 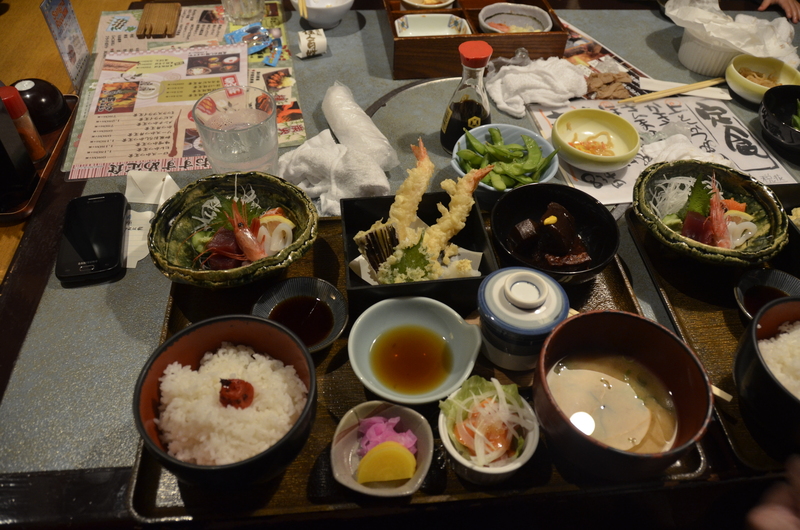 Westerners are accustomed to maybe one large plate and a separate small plate or salad bowl. The meal might consist of a meat, starch, and a vegetable. 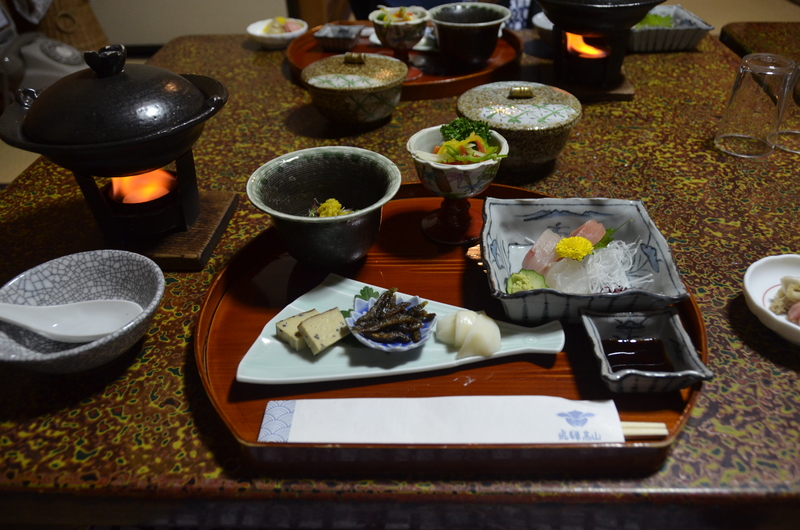 Japanese meals consistently offered a multitude of small dishes, with many small things to try. 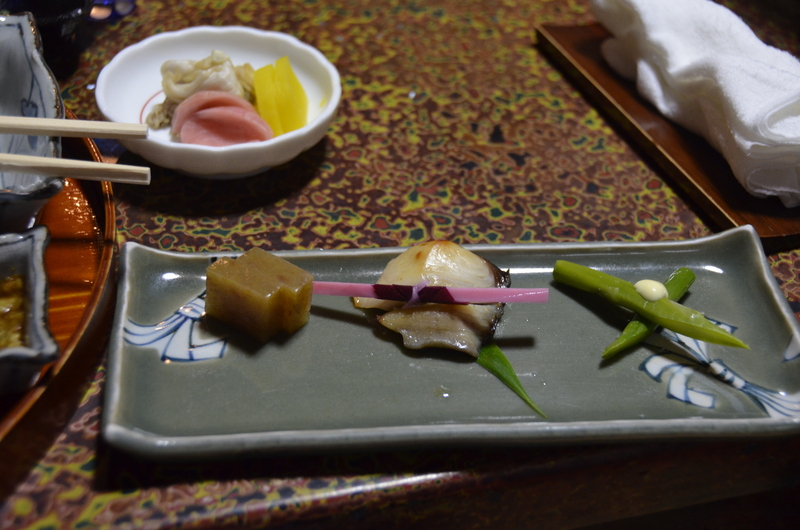 Pickles (daikon), dried, raw, and cooked seafood, salad, soup, and rice, all served in diminutive and attractive dishes, were the norm. Dessert often consisted of fresh fruit. 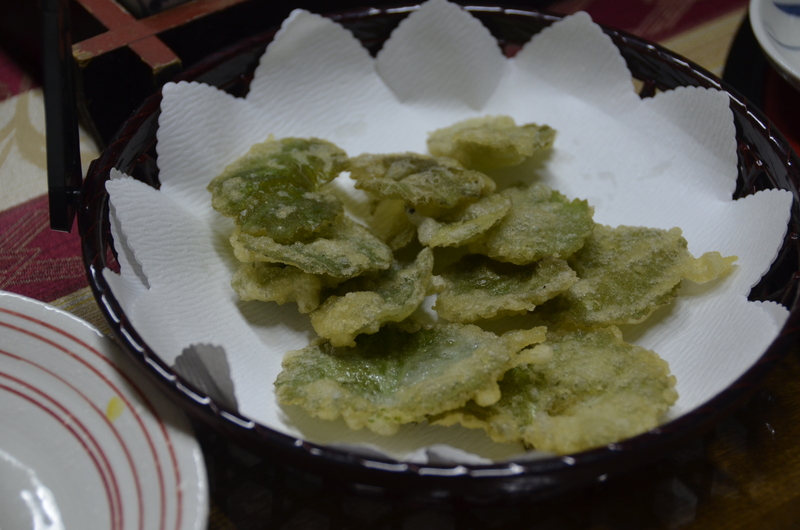 One beautiful and delicate dish we were served were shiso leaves cooked tempura style. They were very delicate and I recall my mother telling me their name means something like “leaves under snow.” These particular leaves were picked from my host’s garden and cooked. They were delightful! 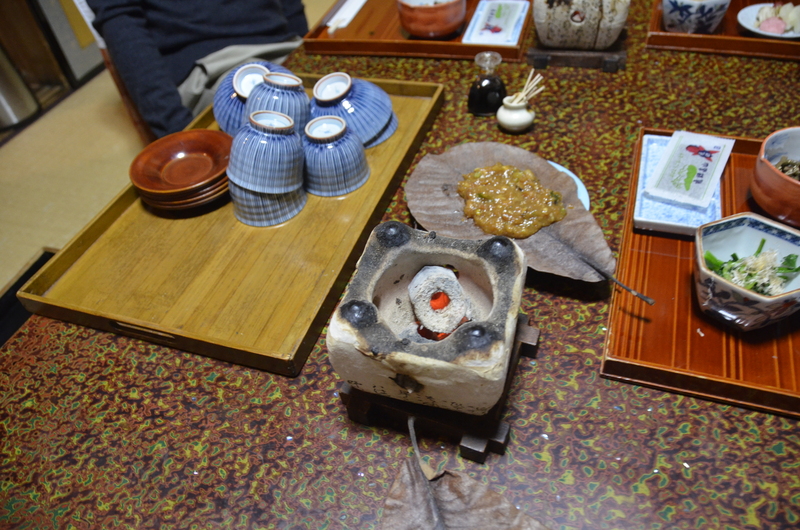 I have read that it is also common to fry maple leaves tempura style, but I did not see those. 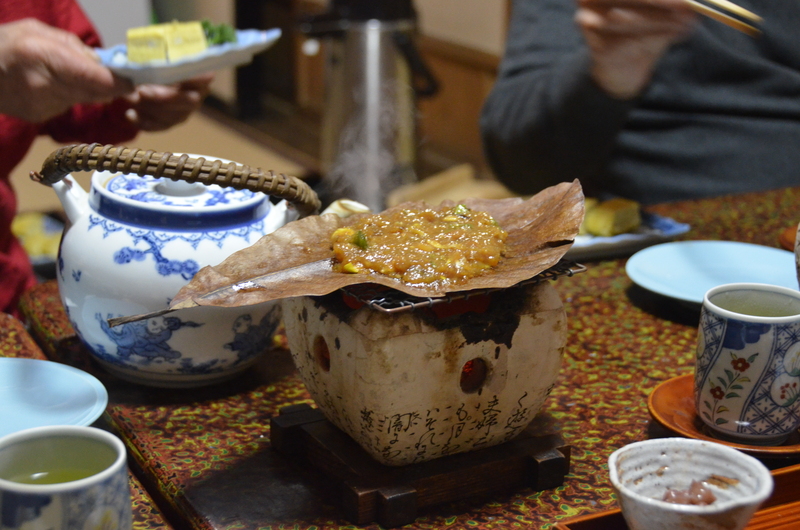 Quality of the food and the meal is prized above all else, and the Japanese are willing to pay for it. Some supermarkets will discount food significantly later in the day. 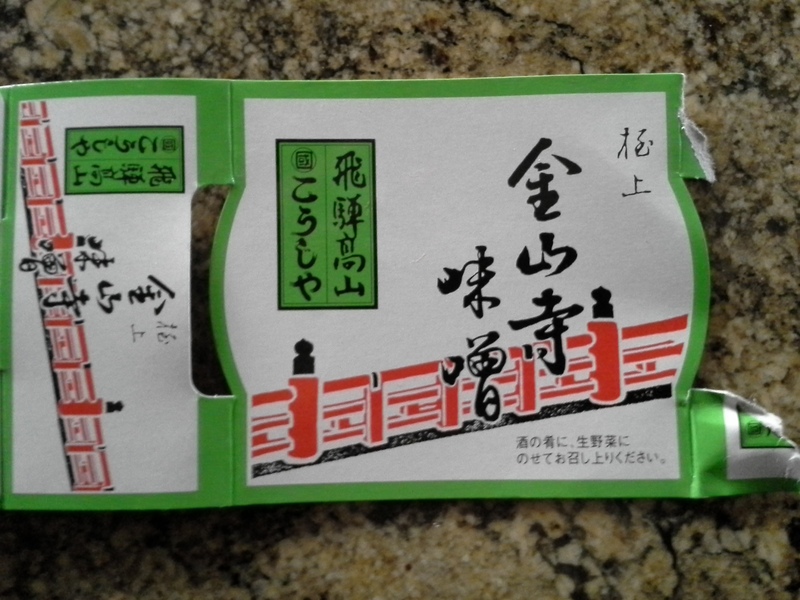 This is called otsutomehin. I did not learn about this until after I returned to the U.S., but when I return I wish to look more into this.